Swine flu is an infection caused by one of several swine influenza viruses (SIV), with the H1N1 strain being the most common across the country. 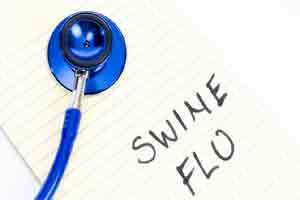 Shimla: Nine people have died so far due to swine flu this year in Himachal Pradesh. The highest number of deaths was reported from Indira Gandhi Medical College and Hospital (IGMC) hospital-which is four. “According to the data available with the hospital administration in Indira Gandhi Medical College and Hospital (IGMC), Shimla, a child was among the four patients died last week,” said Dr Janak Raj, medical superintendent in IGMC. The cases of Swine flu in the state are increasing. So far, 20 cases have been reported positive in swine flu in the IGMC hospital and a total of 67 samples were taken. 12 people have been discharged after treatment here, while four are undergoing treatment. “The patients with swine flu symptoms are dealt separately and for those with positive cases of the flu have been kept in isolation ward. H1N1 influenza is treatable with Tamiflu whose treatment is available in the hospital,” Dr Janak Raj said. The IGMC administration has also issued an advisory regarding Swine flu in the hospital. Former Himachal Pradesh chief minister, Virbhadra Singh has also been diagnosed with Swine flu and is being treated at the Indira Gandhi Medical College (IGMC). Along with Himachal Pradesh, several other north Indian states have also witnessed increased cases of swine flu. Till Monday, 75 people have succumbed to swine flu in Rajasthan. H1N1 virus spreads when an individual touches an infected person or breathes droplets of coughs and sneezes that are in the air. The symptoms are same as of the seasonal flu, also known as the viral fever. These include a cough, sore throat, and body ache.